July 25, 2911. 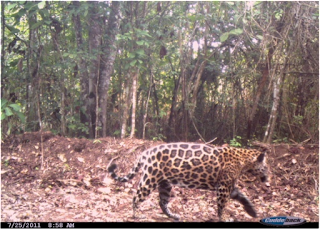 With cameras traps were located in different points where it is presumed to be frequented by jaguars. 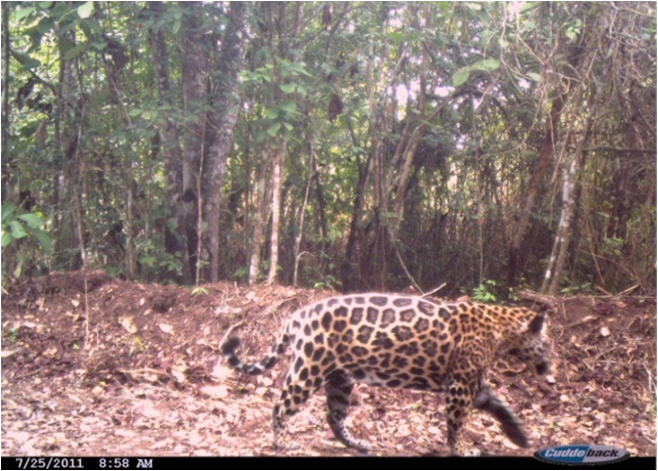 Success was achieved and the latest photos along with those dating from 2008 confirm that at least two jaguars roam the forests of Cerro Blanco and adjacent forest remnants. A landowner has also confirmed the sighting of a female jaguar with two cubs in Cerro Blanco. This is a good sign and shows the conservation efforts of the Pro-Forest Foundation are paying off. Una especie tan importante en un ecosistema frágil, hay que proteger la diversidad para conservar los servicios ecológicos que nos brindan las especies en los diferentes ecosistemas.